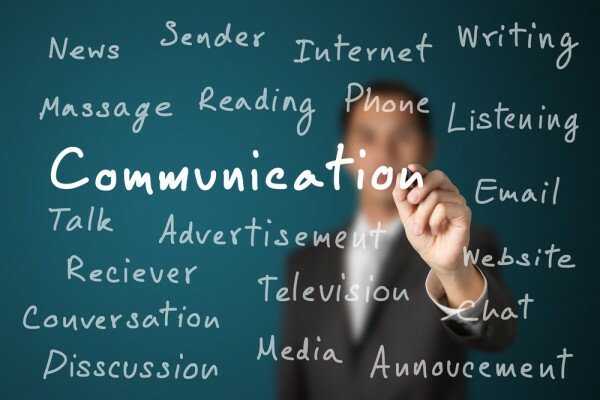 Business communication courses prepare managers to handle business deals more effectively. These courses build stronger relationships for managers. With better relationships, a business creates a strong foundation for itself. Improving yourself professionally is just as important as self improvement in your personal life. As the business becomes more stable, more opportunities open up for the business to grow. As we will see, business managers should check out business communications courses offered by established institutes. The preparation will help them lead their business to growth and success. Business communication and collaboration is a crucial aspect of business management. Effective business communication create a more productive workflow and amiable work environment. Business communications is makes a difference in all aspects of a business. Fore example, communicating be between managers and employees can improve productivity. A dialogue between a company and its customers can increase sales. Or, a negotiation with suppliers and vendors can lower costs. All of these interactions are a core piece of business management. More importantly, they all require effective business communication. Moreover, business communication depends on clear and transparent message conveyance. Proper communication builds trust, which is essential for any business relationship. If carried out effectively, business communication can build a company’s reputation, resolve conflicts and contribute to strong relationships throughout a company. Effective business communications require professionals to have a fair amount of self-confidence. Studies show that professionals who take ownership of their own work are often looked at more favorably than professionals who are always searching for direction and guidance. Having a can-do attitude goes a long way in solving business problems. Make sure your business communications strategies reflect this concept. Be confident in your ability to problem-solve in the industry and convey your self-confidence in your communications with colleagues and supervisors. This is certain to have a positive impact on your career. Business communications are a little bit different from personal conversations. In a professional setting, people will not want to talk to you until they are prepared for how the conversation will go. Employees, colleagues and supervisors alike will only engage in conversation if they know the topic you will be discussing and how long the conversation will last. Ultimately, everyone wants to know “what do you want from me?” If you are able to indicate these things prior to the communication taking place, you are setting everyone involved up for effective communications for business. To take advantage of these opportunities, business communication courses are offered throughout the United States. Considering the benefits of business communication, it would be a good idea to sign up for a reliable business communication course. There are many colleges and universities that provide degree or certificate courses to students. Specialization programs are also available for those seeking advanced skills in business communication for entrepreneuring or any other purpose. To help you get started here is information about three courses that are available. Alison, a free e-learning provider, offers a basic business communication course. The course provides considerable knowledge about the fundamentals of business writing. It is only a couple of hours long, helping managers brush up on their writing skills to improve business communication. Alison business communication courses are provided completely free of cost. They have an easy to follow module with tests to assess managers. Addtionally, a certificate is awarded at the completion of the program. Based online, Alison business communication course is a convenient program. Professionals can consider it to improve basic written business communication. Secondly, the Harvard Extension School provides reliable business communication courses. The program is designed for in-depth, extensive business communication learning that will help you impress a hiring manager and much, much more. The program certificate is awarded on the completion of any three business communication courses, costing an estimated fee of $7200. The average duration for the completion of the course is 1.5 years, which can be extended for up to 3 years. No doubt, there is ample opportunity for working business managers to learn at their own pace. This is certainly a reputable course that managers can benefit from. Additionally, Straighterline provides a practical business communication course to improve business writing and communication. The course is provided in two convenient programs that students can opt for according to their needs. The Business communication program with Aime Mckinney is an extensive course that improves interview skills along with business writing. It is an interactive classroom based program that assesses students regularly and provides feedback on candidates’ progress. The online business communication course is an introductory program that provides necessary training in business communication. It provides elementary to intermediate training to improve business writing and helps with basic grammar lessons. The course fees are $119 and $79, respectively. Those fees are exclusive of the registration fees. Both courses provide relevant knowledge in business communication tools like video publishing and video conferencing. Interested candidates can go through the details of both the courses and select the one that suits their needs. As we have mentioned, effective communication is integral to business. Whether you are making deals, managing multiple projects or providing information about company regulations, it is important to clearly communicate messages to everyone associated with the company. Professional business communication builds strong relationships too. Of course, business communication courses will improve your communication skills, improving productivity for your company overall.